Product prices and availability are accurate as of 2019-04-04 11:18:38 EDT and are subject to change. Any price and availability information displayed on http://www.amazon.com/ at the time of purchase will apply to the purchase of this product. 31374 Features: -Eight light chandelier.-Chiseled frosted glass.-Glass design with an arctic treasure of glacial proportions.-UL listed. 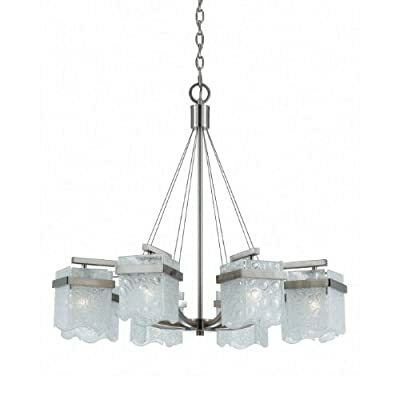 Specifications: -Accommodates (8) 60W candelabra base bulbs (not included). Dimensions: -Overall dimensions: 26.5'' H x 30'' W x 30'' D. Collection: -Arctic Ice collection.